To all our friends and loyal customers... please check out our facebook page after you catch up with us here... I post all the weekend specials and am able to add more photos and fun stuff... and it is a great way to interact with us!!!! Kickin' Kadilaks was established in 2002 and is owned by Pamela and Michael Kadilak. We have been proud to serve and get to know the people in our community and offer up some great food and yummy cocktails at a reasonable price. We have been in the restaurant and bar business pretty much our whole life. We offer a friendly and fun-loving atmosphere and surround ourselves with employees that love the business as much as we do. Our building is a bit outdated from the outside, but once you step inside you'll find it and the people inside very inviting. The building that houses Kickin' Kadilaks Bar & Grill has quite a history...it is about 200 years old and was at one time part of the underground railroad. There are absolutely beautiful hand pressed tin ceilings in the bar and dining room that date back to the 1920's. So, to us, one of the important things in life is the history of family and the relationships and friends you make along the way.... that is what makes your life rich and full of happiness. I have to mention our friendly and beautiful bartenders and servers that work so hard to make your visit an enjoyable one. And of course, the back of the house...our kitchen staff works hard to make sure your food is what you come back for the next time... Kickin' Kadilaks has definitely become known for our delicious Hot Wings... All our sauces are made on premises. Our french fries are fresh cut, burgers are hand patted, steaks are fresh cut...we strive to give you a fresh and delicious meal every time. We are not fast food... everything is cooked per your order. Check out the Menu Page for prices and a highlight of our menu options and Daily Specials. 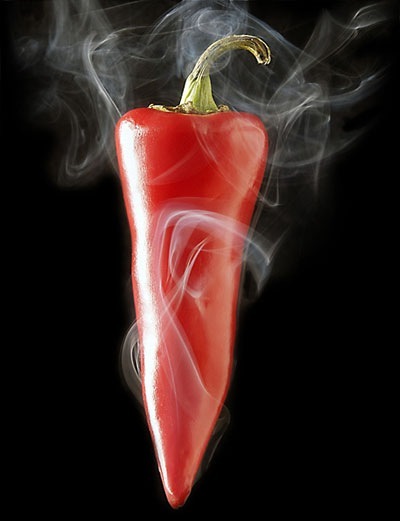 Like it Hot? We have a vast array of Hot Sauces for sale...we are your hot sauce connection! You can find anything from mild & tasty to burn your tongue off hot, and if we don't have it...we would be glad to order it for you. We also sell our homemade sauces that we use on our delicious wings. Flavors include... Hot, Suicide, Misery & Annihilation!!! We offer a non-smoking dining room...so feel free to bring the little ones along, we have a special menu just for the kids under 12 years of age and we are very family motivated. We also have a smoking bar with no one under 21 allowed... And we do our very best to keep the beers ice cold for you!! !